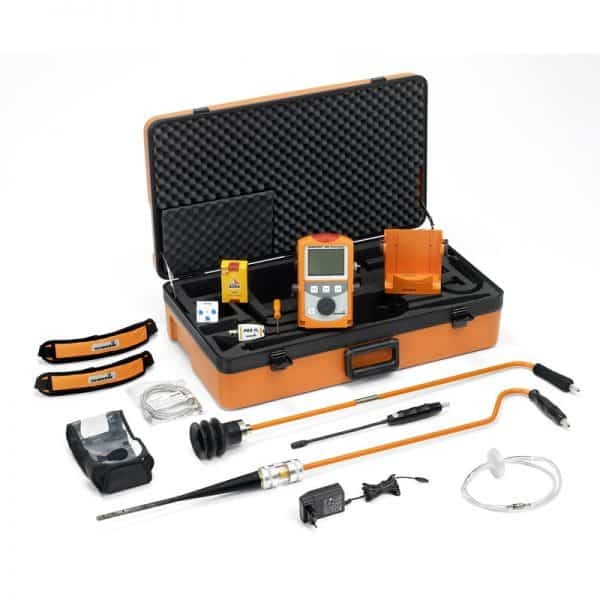 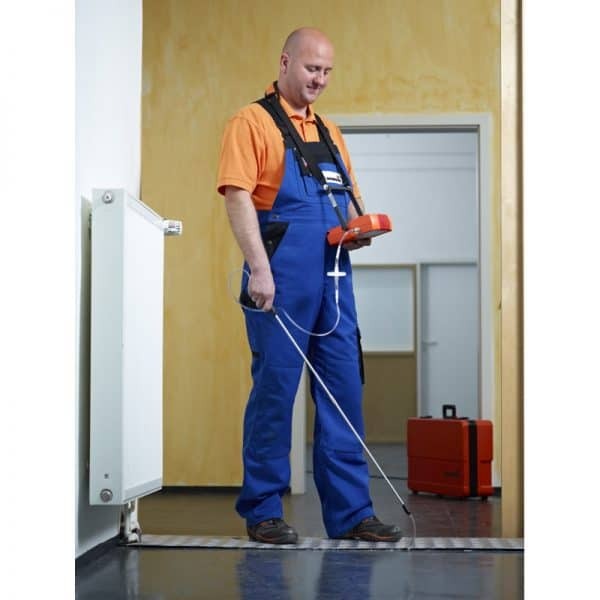 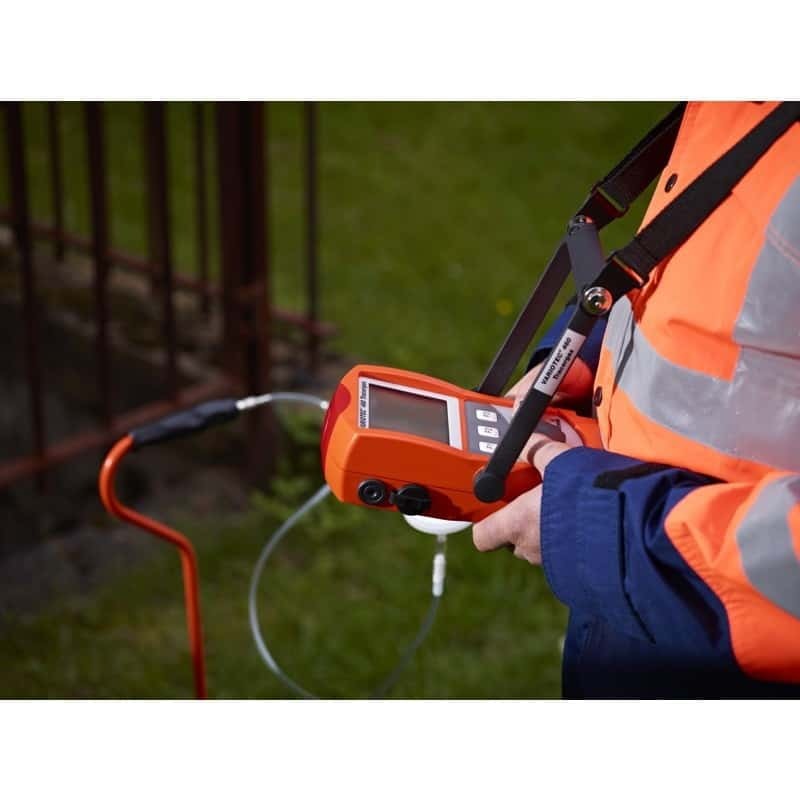 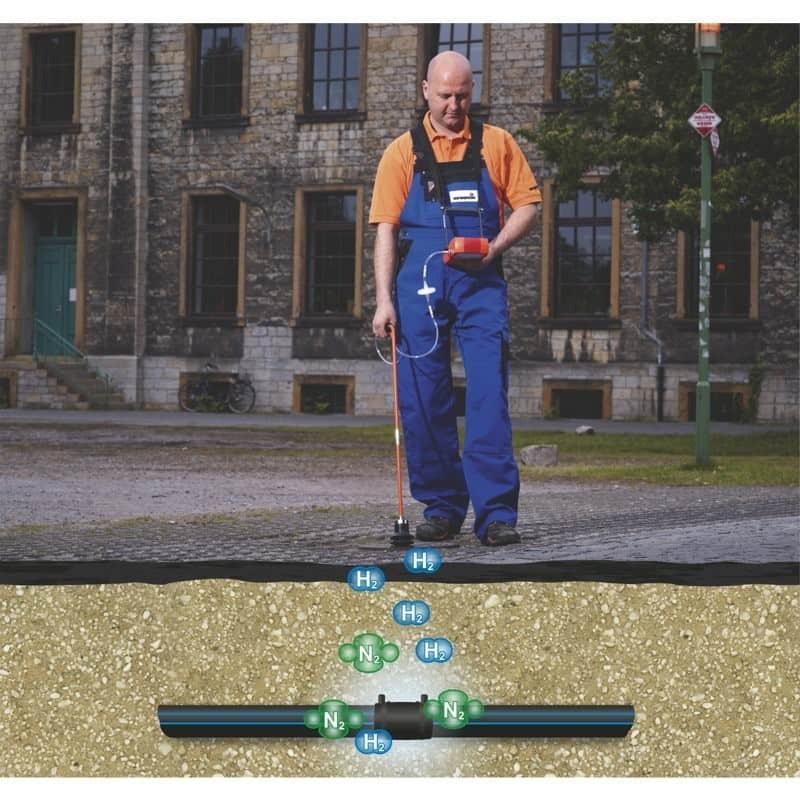 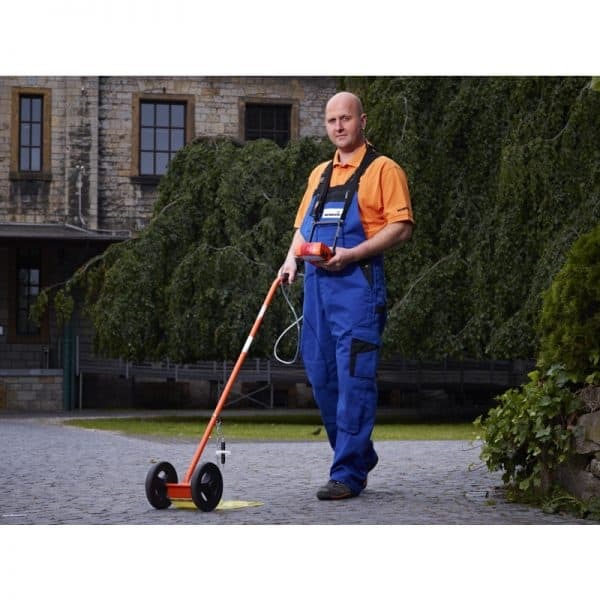 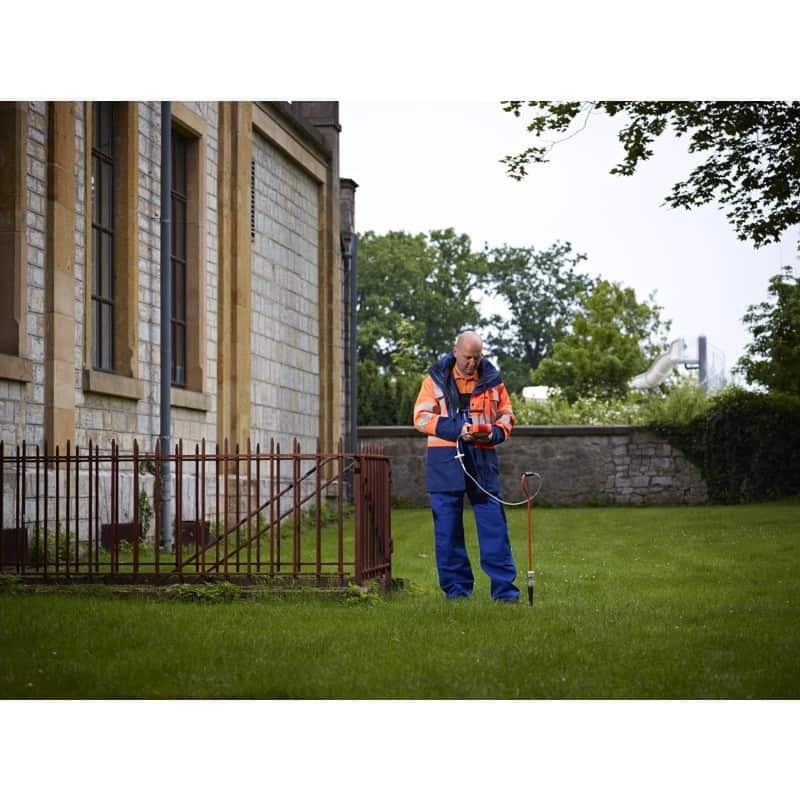 The Variotec 460 Tracergas is great for leak detection on underground pipes by using tracer gas. 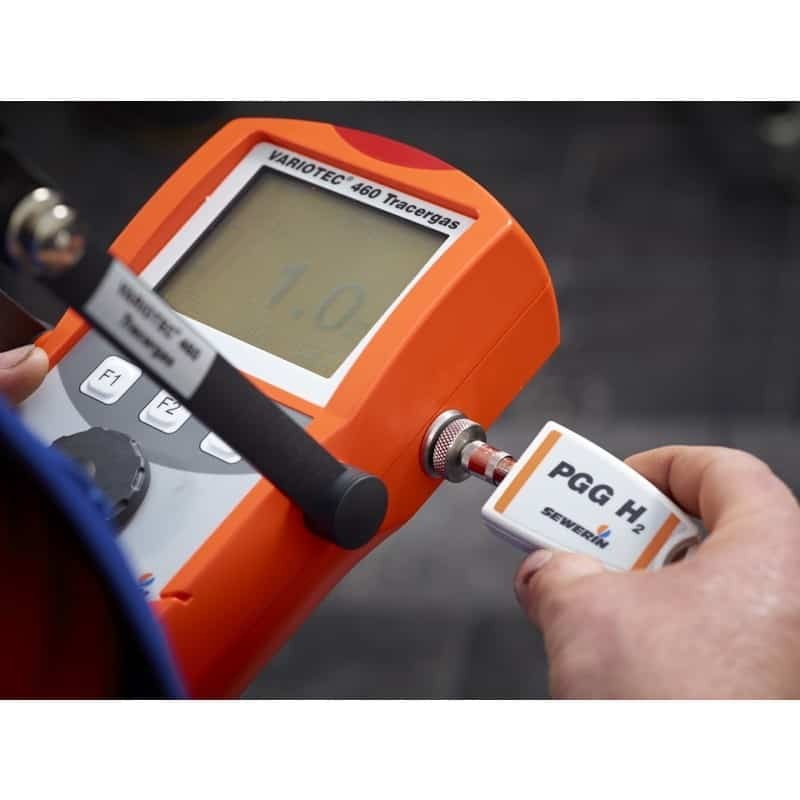 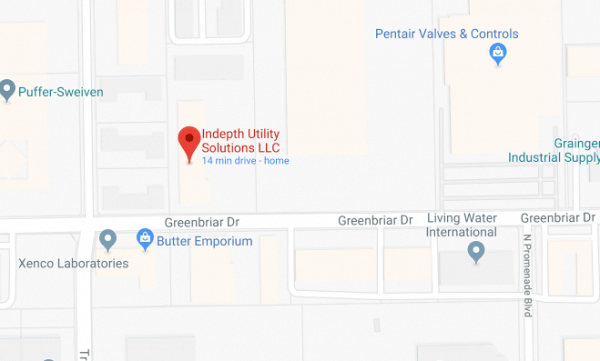 The low cross sensitivity of the gas-sensitive semiconductor when it comes to moisture and methane ensures a precise result and resolution down to 0.1 ppm H2. 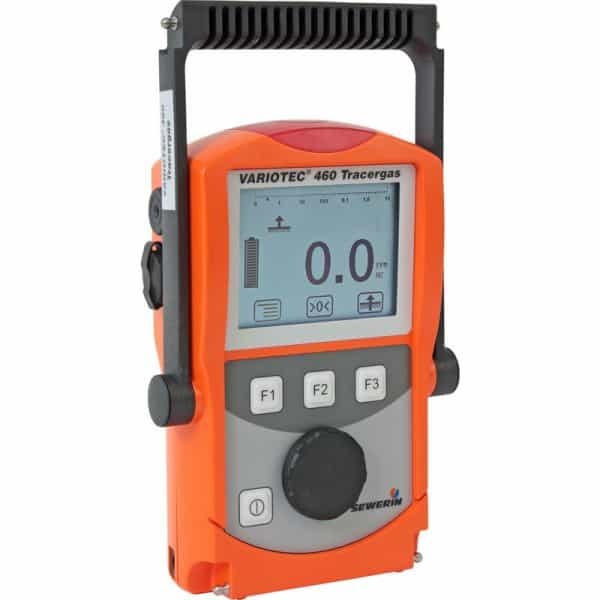 The Variotec 460 Receiver has a large display and a simple menu structure, making it easy to quickly obtain and analyze reliable results. The rechargeable batteries, on the Variotec 460 Tracergas, can be charged in just 3 hours and they last at least 8 hours. Alternatively, you can use disposable batteries.